You’ve probably heard of Nagasaki, but have you ever heard of Saga? From Fukuoka, ‘the Gateway to Asia’, you can easily travel to these prefectures by train. There are also cities of the same name with wonderful landscapes and historical cuisine. From 1 March 2019, AirAsiaX will operate four direct flights to Fukuoka from Kuala Lumpur every week. So, we’d like to introduce a sample short-term stay itinerary that lets you enjoy Fukuoka, Saga and Nagasaki. From Fukuoka, it takes around an hour to reach Karatsu. It offers superb views of Nijino Matsubara pine forest and Karatsu castle, and there are many famous tourist spots. Amongst those, our pick is Nanatsugama (七ツ釜) and its exquisite food. Nanatsugama is a picturesque scenic spot where seven caves have been formed in a basalt cliff by the rough waves of the Genkai Sea. We highly recommend you take the breathtakingly beautiful but choppy cruise to reach Nanatsugama where the boats can enter the biggest cave. After enjoying Nanatsugama, it’s time for some freshly caught squid sashimi. The transparent flesh with a crunchy texture is unforgettable! After finishing the sashimi, you will usually be served squid dumplings and squid tempura. 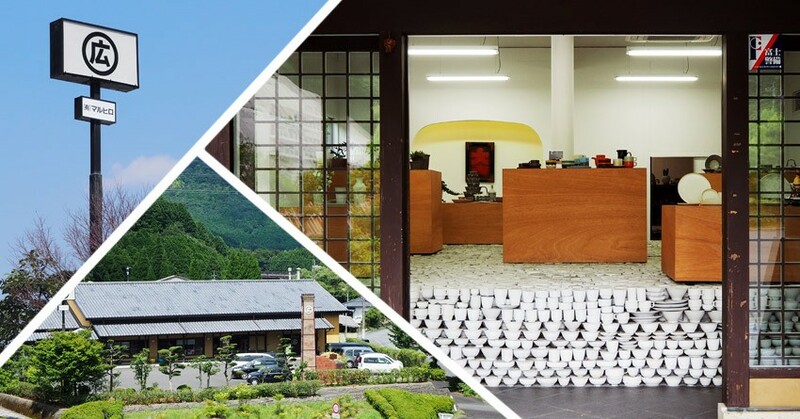 Take a look at the ceramic wares of Arita, a town famous for its fine porcelain, and Hasami which is better known for cute daily use tableware. Arita is a 50-minute drive from Karatsu. Arita is where the first porcelain in Japan was produced, and Arita-ware has a 400-year history. From traditional designs to modern, there are many potters and shops, so you can have fun while strolling. Getting to Hasami from Karatsu takes only 10 minutes by car, even though Hasami is in Nagasaki Prefecture and Karatsu is in Saga Prefecture. Hasami-yaki designs are both colourful and fashionable, very popular with young people. Department stores all over the country stock porcelain made here. This is especially true for Maruhiro, which is a direct distributor, a must-see. When you enter their flagship store, you’ll surprised by the mugs and containers stacked so densely on the floor that display cabinets can be put on top of them. When you’ve had your fill of porcelain, head to south towards Nagasaki city, and stay overnight. We recommend you stay in the Shianbashi area, near Nagasaki Station, and close to many hotels, restaurants and a convenient location to visit the main tourist spots. When Japan was still an closed country, Nagasaki was the only port which allowed foreign trade, which is why it is has an exotic cultural background. Japan’s 「和(wa)」China’s「華(ka)」, as well as Netherlands’「蘭(ran)」 ,combines to form the Wakaran Culture「和華蘭(わからん)」, and it could be said to be Nagasaki’s most charming point." Here, we’d like to introduce five of the best things in Nagasaki to experience. You can experience the lifestyle of those in the Meiji era by visiting the historic mansions of British and American traders. You can also have a wonderful view of the Nagasaki Port from the Glover Garden! Nine of the world’s 18 species of penguins can be seen here, and there are up to 180 birds. Here you can see more types of penguin than anywhere else in Japan! When you’re hungry, eat the famous food of Nagasaki. 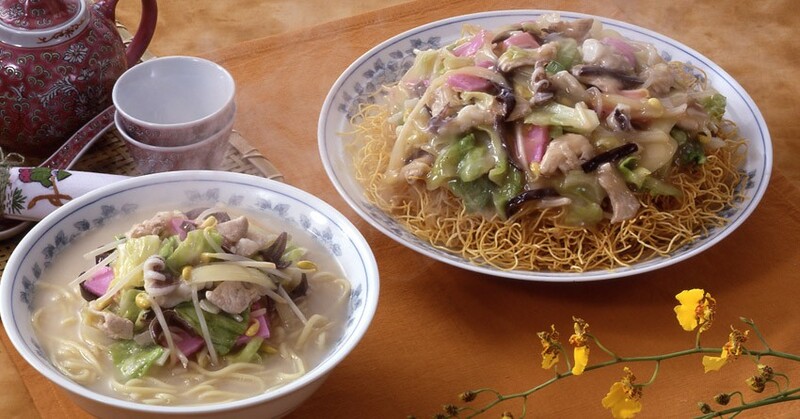 In pork-bone broth or chicken-bone broth, pork, vegetables, fish or seasoned fish paste are cooked together, matching the taste of the Champon noodles perfectly. With mostly the same ingredients as Nagasaki Champon, these thin crunchy noodles are covered in ingredients. Whichever you choose to have, remember that the ingredients differ slightly in every shop, so just try out one you’re interested in. 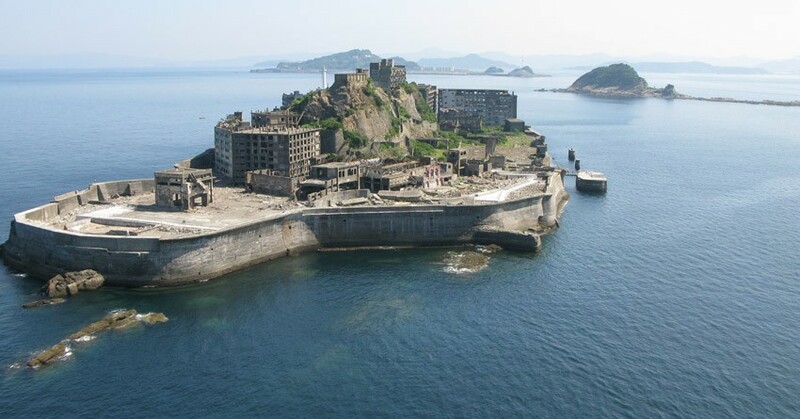 Hashima island is an abandoned base for undersea coal mines that formerly supported modern industries in Japan. The island is nicknamed Battleship Island because of the shape of the silhouette formed by the high-rise reinforced concrete buildings. In 1960, about 5,300 inhabitants lived here, and there were elementary and junior high schools, hospitals, cinemas, and entertainment facilities on the island. But the mine closed in 1974 and residents had to leave. It gained worldwide recognition as the villain’s lair in Skyfall, the James Bond movie. While uninhabited, you can take a cruise tour to the island. This is the mountain where you could see what’s rated as one of the world’s three best night views. But it is beautiful on a sunny day too. 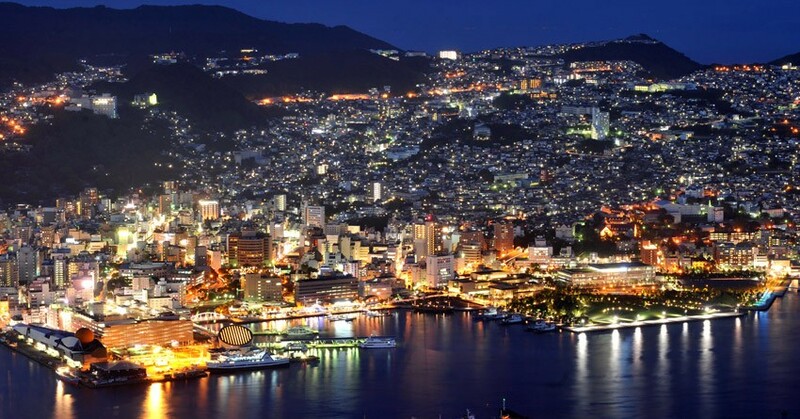 It offers a superb panorama of Nagasaki harbor and the cruise ships. Not only that, it is also a popular gathering spot for instagrammers and photographers. As an alternative to driving, you can also reach the summit of the Inasa-yama by ropeway. It’s about two hours drive to Fukuoka. We recommend leaving the car in Nagasaki and returning to Fukuoka in comfort by the Limited Express Kamome. •	The quickest way to reach Saga from Fukuoka by JR Train. It takes 37 minutes Saga via the Limited Express Kamome Train from the Hakata Train Station. •	Way to reach Saga from Fukuoka Airport by Bus. Travel time of 1 hour 45 minutes, it costs 1,230 yen via the Fukuoka-Airport Limousine Bus to Saga Station. •	How to travel from Fukuoka to Nagasaki by JR Train. It takes 1 hour 55 minutes by Limited Express Kamome JR Kyushu train, 4,190 yen for an unreserved seat. •	How to travel from Fukuoka to Nagasaki by Bus. The Kyushu express bus costs 2570 yen, and it takes 150 minutes to travel to Nagasaki. 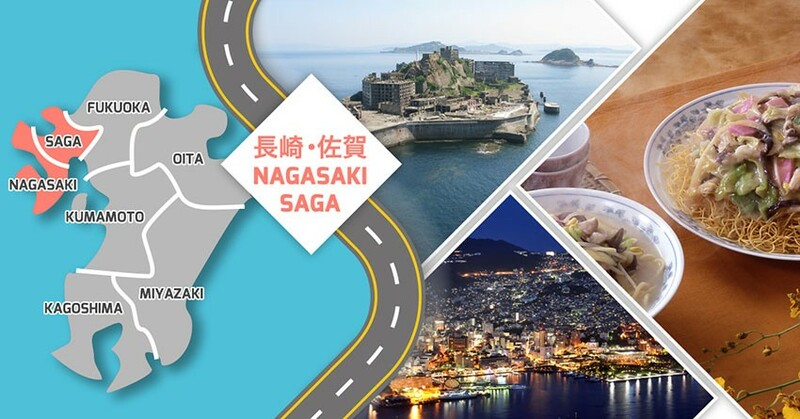 What do you think about going to Nagasaki and Saga? Does the idea of watching cute penguins perform pique your interest? Or maybe you like to walk on streets lined with pottery shops in Karatsu instead? Be sure to leave us a comment on which you liked!